After my last post on the Blueberry Hill ski touring area, I had to follow up with a post describing a favorite loop at my home in the mountains, the Rikert Ski touring center on the Breadloaf Campus. I have purchased a season’s pass here pretty much every winter since I moved to Vt, and I can’t say enough good things about the place and the people who run it, so I won’t! The Rikert area has many kilometers of great trails, but has a compact trail layout, so I am going to describe a route which includes some of their lesser known trails, and some less maintained sections of forest service land outside the ski area boundaries. 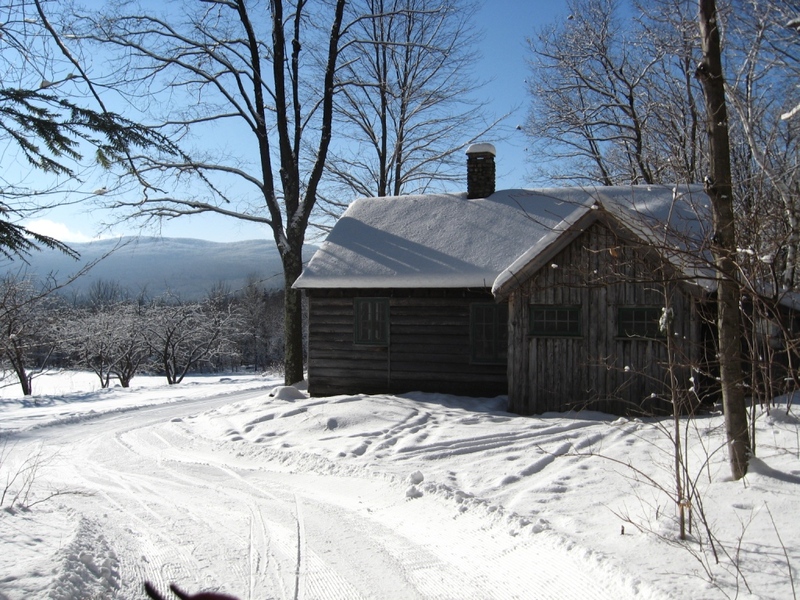 This loop includes some perfectly manicured terrain, skier-packed side trails, and a short section on Forest Service 59, an unplowed dirt road which is maintained by VAST (Vermont Area Snow Travellers, aka Snowmobilers). Starting at the touring center, take the trail descending directly into the woods towards Breadloaf Mountain. 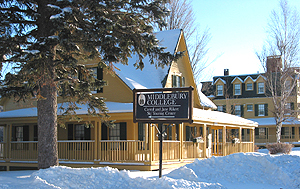 This trail is labelled as the “first loop” as it is the start of the 7.5 Km loop used by the Middlebury College Ski Team for the winter carnival races. Follow this trail as it makes a quick climb, short descent and veers right for another short climb. Go straight on Holland, which continues the gradual climb. 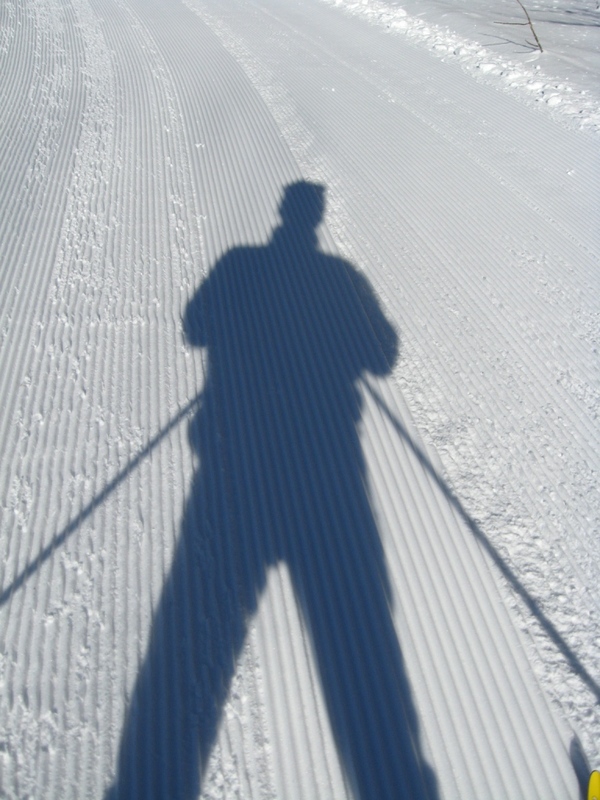 A short distance after topping out on Holland, you will see an ungroomed but usually well skied trail descending to the right. This trail is usually referred to as “Brown Gate”. There are a few springs in this section of trail, so watch out for a few bare spots. An opening in the forest to the right marks the beginning of a series of beaver ponds. The trail eventually makes a sharp right to a bridge which crosses over the outlet of the beaver ponds, but if the little buggers have been recently active, the bridge is sometimes under the ice. From here it is about . 75 Km of climbing until you reach the brown gate which gives the trail its name, where the ski trail system meets FS 59. If you are reading this, and wonder how on earth you will ever follow these instructions, just remember (as the blogger furrows his brow and does his best Yoda imitation) No wrong way, there is, only new ways. Hmmmmmm. Take a left here on the VAST-maintained trail. I rarely see snowmobilers here, and when I do, I step aside, wave pleasantly, and thank them, as it is their dues which keeps the trail maintained. I am looking forward, however, to the extinction of the smoky and loud 2-stroke machines and their eventual replacement with quieter and less noxious 4-stroke engined snowmobiles. Another Km or so of easy climbing brings you to the height of land, where the trail takes a soft left turn, and starts to descend. Keep your eyes open for a tighter trail descending to the left. You will recognize it when you see a no snowmobiling sign on a trail frequently well packed by snowmobiles. The next few Km are a long fun descent which eventually bring you back into the outer fringes of the Rikert trail system. There is a gorgeous section paralleling the Middle Branch River. Shortly after you cross the river on a major bridge, there is a hard left up a short steep hill. Head up this, and then take the right fork when the trail splits again. You may notice a wooden sign pointing to Breadloaf, but this is easy to miss as it is in need of a paint job. Stay on this trail, which eventually passes through a pine forest before emerging in a clearing adjacent to the Robert Frost Cabin. This sobering thought aside, the bluebird skies and blue kick wax conditions made for yet another ahhhhhhh… moment on a perfect day. From this point on, just follow the obvious trails back to the central sections of the ski touring area, and kick it in back to the touring center. 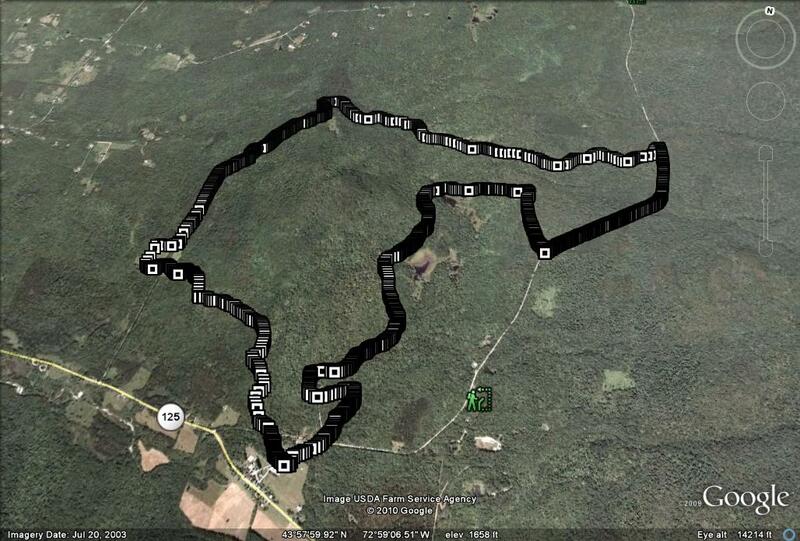 The total distance on this loop was 13 Km, with a 700 ft altitude difference between the highest and lowest points. You will notice, I am giving all distances in Km now. This is so that I can maintain credibility in the nordic skiing world, where apparently English system measurement is verboten. Robert Frost stayed at my house too! Just kidding.